The following is a guest post from Dottie, a daily reader of this blog, who is sharing her insights on how to spot quality in fabric and construction of women’s clothing. Dottie learned to sew as a teenager and has used her knowledge of clothing construction to look for well-made clothing, preferably on sale. 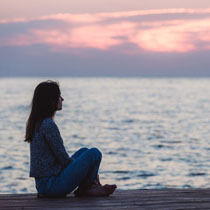 She lives in a 4-season climate, so some of her tips may resonate less with people in warm climates. 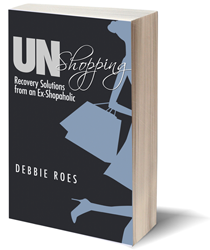 Dottie welcomes feedback from “Recovering Shopaholic” readers, especially those of you who have additional tips for – or tales of – finding quality clothing. You spot it from across the store – the perfect dress in “your” color, in the style that flatters your body, at a price that won’t bankrupt you. A quick dash into the fitting room – and you decide it’s perfect! Or is it? Before you head to the sales desk, take a few minutes to really examine the dress (blouse, pants, jacket, sweater, etc. ), preferably in good light. This may require you to leave the more dimly lit dressing room for natural light or even the more brightly lit check-out area. It’s the “perfect” dress, but is it well-made? I am fortunate that I learned to sew in my teens and learned a lot about clothing construction from making my own clothes. I also learned to alter patterns and make substantial alterations (lengthening or shortening a skirt’s silhouette, lengthening sleeves, etc.). Because I know what is needed to make a well-constructed garment, I have been able to search out well-made clothing at various price points. Price alone is no guarantee of quality – I’ve learned this the hard way. You really need to look over everything you buy – there’s a lot of sloppy workmanship out there — and the amount of what I think is substandard clothing is increasing. The prevalence of “fast fashion” promotes quantity over quality. Personally, I prefer quality over quantity. So How Do You Identify Quality? I’ve provided here some design and construction basics that I look for when making a purchase. Please note that I try to buy all of my clothes on sale, but I’m a stickler for quality. However, I do not find that a famous brand name always equates quality. I’ve been disappointed with an overall decline in quality in women’s ready-to-wear clothes, and I have all but stopped buying clothes. (I still score a few excellent buys here and there but the search for quality is more time-consuming.) Fortunately, my current wardrobe has some excellent clothes that I think are irreplaceable. I hope other readers of this blog will share their tips on how they spot quality in clothing. Check the content label at the neck, in the waist band of jeans, or in the left side seam to determine the fabric content and care instructions. Generally, natural fibers (silk, cotton, wool) stand up better than synthetics, but some new synthetics are also worth your consideration, especially for technical or performance wear. However, I tend to stick with natural fibers (Lycra in jeans for stretchiness is okay). For example, I prefer cotton or wool (cashmere) sweaters over acrylic because I think the fibers wear better, retain their shape, and withstand repeated washings. It’s getting harder to find quality 100% wool, 100% cotton, 100% silk, etc. This may not be an issue for some garments, but for a big ticket item like a winter coat or business suit, you may want to purchase garments with the highest wool content for your budget. Wool blend fabric (depending on the ratio of wool to other fibers) can lead to pilling or wear patterns at the neck, cuffs, around buttons, etc. One of the trends I’ve seen is the increasing thinness of fabric. T-shirt fabric is thinner (and more revealing), blouse fabric is thinner, jeans fabric is thinner, etc. I try to find heavy weight denim for jeans, not the lighter weight twill that is most often available in colors and patterns. To illustrate the “thinness” issue, here are examples of two silk blouses held up against strong light. The first one was bought in a high-end department store 20 years ago – and my hand inside the blouse can barely be seen through the thick silk fabric. The second one was purchased in a different (but equally high-end) department store 10 years ago for about the same price, and the silhouette of my hand is clearly visible. It’s nice silk, just less luxurious and opaque than the first blouse. The fabric of the 20-year-old blouse has a thick luscious “hand.” The blouse is delicious to wear – and less revealing! It also has design details that are harder and harder to find, like a placket to cover buttons (I don’t like visible buttons on my blouses), French cuffs, and double darts for better fit. Yes, I keep and wear my clothes for decades – if they are well-made of high quality fabric. Another quality details on both of the above blouses (the kind of detail I look for) is self-facing on the front placket, cuffs, and collars. This means that the same silk was used to provide additional thickness to these areas for better drape and strength. I also look for self-facing on cotton shirts instead of fusible (fusible web that is heat-released and provides stiffness, depending on the thickness of the web. If you’ve used fusible – iron-on – hem-mending tape, it’s similar material.) I don’t mind fusible facings but I find too often that too thick a facing is used for light-weight fabrics – and once fused it can’t be removed. Clothing should be cut along the grain of the fabric (except for bias-cut clothing and a few other exceptions). You can tell the grain by looking closely for the longest line of woven thread. Anyone who sews knows that you have to buy enough fabric (yardage) to ensure that all of the pattern pieces are placed following the grain of the fabric before cutting. The extra fabric increases the cost of clothes, but the garment will have a better and more uniform look. I always give fabric the scrunch test. If it wrinkles up right away and doesn’t “de-wrinkle,” I may walk away from the garment. Wrinkling alone isn’t necessarily a sign of poor quality; some fabrics (cotton, linen, rayon) wrinkle more than others. I hate to iron, so I tend to look for “wrinkle release” or “wrinkle free” cotton or even a cotton blend. I recently passed on a gorgeous lined tweed skirt with a bit of gold thread in the lovely thick weave – and it was a steal at a famous discount retailer. That gold thread was probably the reason that the care label required hand washing and drying flat. (What?) While I thought I could handle this fussy care requirement, I didn’t think the lining would hold up to washing – and once I added the possible cost of relining the skirt (at least once) to the price of the skirt, I decided to pass. I also avoid sequins and other do-dads that, once lost, render the garment virtually unwearable. I look at the quality of stitching as a test of quality. This includes seams and any top-stitching. If you gently pull a seam from the inside of the garment, you will see a lot of daylight between stitches in a poorly made garment. Better quality garments have more stitches per inch and thus have tighter seams – and thus less of a chance to have the seam come apart. Quality top-stitching should be straight, in matching thread (unless the top-stitching is designed for contrast) and have a high number of stitches per inch. The stitches should lie flat to avoid snags (no loopy stitches). Since the introduction of sergers that create an overlock stitch, it’s very hard these days to find ready-to-wear clothing with flat-felled seams (seen on a lot of jeans), french seams (for sheer fabric), or taped seams. Sergers are great for knit fabrics, providing a bit more stretchiness than other finishing techniques, but now they are also used on woven fabric for blouses, pants, etc. If the seams are serged, make sure that the stitching is tight and all of the edge fabric is completely stitched. There should be no obvious loops or loose ends. While inspecting the seams, also look at how much seam allowance is available, especially if you need to lengthen sleeves or hems or let out a waist. Seam allowance is getting very rare these days, too. The hem allowance is the width between the hemline and the hem edge. The hem allowance is folded back under the garment to the wrong side of the fabric; the clean finished edge is the finished hemline. The fabric and garment silhouette determine the width of the hem allowance. In general, the wider and fuller the skirt, the narrower the hem width needs to be. Generally speaking, straight or pencil skirts made in a medium- to heavy-weight fabric can have 1-1/2-inch to 2-inch hem allowances (I think a 2-inch hem can indicate quality but of course there are many other factors to consider). A-line skirts should have 1-½ inch hem allowance to reduce bulk. A flared skirt should have a 1-inch hem, and a full-circle skirt should have about ½-inch allowance. Hem allowances in knits are generally to ½- to1-inch regardless of the style. Do the Patterns Match Up at the Seams? In better quality clothing, a pattern like a plaid or horizontal stripes should match up at the seams, plackets, yokes, sleeves, etc. This is a bit trickier with large patterns or with garments with a lot of seams (like a blouse). For vertical stripes or smaller scale patterns (polka dots, etc. ), non-matching in a garment might not be an issue. Obviously, matching a plaid or horizontal stripe may mean using more fabric to cut out the individual pieces of the garment, so this drives up the cost of the garment. All too often manufacturers of inexpensive garments forego matching to keep costs affordable. If I’m buying an inexpensive t-shirt with an overall pattern, I try to find a small scale pattern to mitigate the lack of alignment with the pattern. (Conversely, a dramatic large-scale pattern can also mitigate the “non-matching” problem because the size of the pattern prevents any matching.) But in a more expensive garment I either avoid pattern or only buy patterned garments if the manufacturer has done a fairly good job aligning the pattern. Another great example of pattern matching at the seams (Jones New York blouse). Above is an example of a Jones New York wrap-front blouse with set in sleeves that I’ve owned for years. Notice that extra care was used to match the strong horizontal pattern at the back seam (barely visible, lower right and in line with vertical inset) and at the sleeves. The shoulder insert (upper right vertical section) is fairly unobtrusive. This silk blouse was on sale at a famous department store’s outlet, and was well worth the money for the luscious quality of the silk and the attention to details. Always check for — and keep — extra buttons, sequins, and other details that come attached to garments. These extras save you money (and time searching for look-alikes) should a button pop off or sequin go missing. I tend to avoid clothes with fussy details and fragile trim, but if I decided to buy something with unusual buttons, I only do so if the garment comes with extra buttons. Replacing cheesy buttons with something adorable from the fabric store or with vintage buttons can really transform a garment and is a worthwhile investment. Unless an exposed zipper is a design element, zippers should lie flat and be covered with a placket (see photograph below). There should also be an additional closure at the top of the zipper – button, hook and eye, snap – to help keep the zipper closed and lying flat. Unless it’s part of the design (like top-stitching on jeans), the stitching holding the zipper in place should match the fabric. Zippers should lie flat and be covered with a placket. Ideally, pockets should be constructed from the same material as the rest of the garment or from a sturdy pocket material (used a lot in men’s casual pants). Unfortunately, there has been a trend to use lesser quality materials – like lining material – to make pockets. One advantage of lining material is that the pocket area is less bulky, but a downside can be that this material, lacking weight, rides up and can tear more easily. Some additional design and construction details can also improve the fit, drape, and wearability of a garment. Examples of back and front yokes, a nice design detail on blouses. I tend to buy blouses with a back yoke because I think they fit better on me. The horizontal piece of fabric can allow for better draping or fit across shoulders. While a back yoke is not critical for many blouses, you might want to look for this design detail if getting blouses to fit at your shoulders has been an issue. A back yoke can also make a dramatic statement as seen in the Banana Republic blouse at left above. A front yoke can also be an important design element, but I think a yoked blouse looks better on a slender body type. A front yoke tends to emphasize my ample bosom, so I prefer other styles! The image at right above is an example of a front yoke. This is a cute blouse (love the tie) from Fashion Notebook’s Ask a Stylist! Skirts, jackets, coats, and pants used to be lined all the time. Lined pants have all but gone the way of the buggy whip, but I occasionally see (and buy) them – but I live in a 4-season climate and welcome lined pants in the fall and winter. I also prefer lined wool jackets, coats, and skirts for better drape, ease of getting on and off (jackets), and so on. Linings should be made of quality material and allow for ease of movement. Linings should be made of quality material and should be ample enough to allow for sitting, stretching, and so forth (a squat test is critical for lined pants). Most jackets and coats have a vertical gusset/pleat on the back lining to allow for arm movement, bending, etc. Well-made jackets have a taped edge holding lining to the jacket material (see photo above). Some jackets – linen, cotton, knit – work well without linings if the exposed stitching on the jacket’s interior is tight and secure. Loopy seams can loosen when the fabric rubs during wear or can snag of a purse, jewelry, etc. It’s almost impossible to find hand-made buttonholes or even good machine-made buttonholes, but I include this photo of what good buttonholes should look like – just in case you see them! I prefer to buy jackets with operational buttonholes vs. fake ones. If you are unfamiliar with quality construction, head for the men’s department and look at how men’s clothing (suits, coats, business shirts, sweaters, etc.) is made. Most men demand quality in the clothes they buy because they expect their clothes to last a few years (if not decades). One last tip: there is some great vintage clothing out there, but it may be sitting in a relative’s closet. I have a gorgeous Jaeger sweater that is probably 50 years old, and it was given to me by an elderly neighbor. You might want to visit your mother’s (or grandmother’s) closet – with consent, of course – to look for good stuff that your friend or relative may no longer want. Shopping for Quality and Longevity – More hints on how to spot quality, and an interesting discussion of the impact (cost and otherwise) of dry cleaning). Quality Standards in Clothing Construction – An exhaustive list of benchmarks for clothing quality from Penn State and New Mexico State Extension. I bet all the kids in 4-H who have sewing projects (that used to be me!) know this stuff. Good luck with your search for well-made clothing. Thanks, Meli, for your comment. I like “dress-maker” details that provide a lot of pizzazz to clothing — smocking, French cuffs, bow-tie necklines, etc., especially since I wear a lot of solid colors. I am dismayed the decline in quality in commercially sewn clothing — I’ve seen (other people’s) garments come apart at the seams on the first wearing. G-r-r-r!!! Dottie, thank you for this guest post. It’s probably the best guide I’ve ever read on spotting quality garments! I’ve mentioned before that like you, I am also very disappointed in the quality of clothing over the last few years. Why is it I can’t seem to find a well-made, thick cotton, non-see-through white tee??? I’ve yet to find one at any price point. If you have any suggestions about that in particular I would love to hear it. With you working in retail you may just know of one. I used to count on Talbot’s for good tees but the 100% pima cotton tank I got there last year to wear with a coordinating cardi developed a hole in the front after 2 washings! Now it’s unwearable. Again, many thanks for a well-written informative post. KimM: I long for the days when a thick white t-shirt lasted a few years! I hope you took you holey t-shirt back and asked for your money back! I am not sure why there is this general decline in quality, but my guess is that to keep clothes affordable, clothing manufacturers are sourcing less expensive fabrics along with cheaper labor. The “fashion industry” (manufactures, retailers, magazines, on-line sources, etc.) has all but talked us into “fast fashion” where less is more in the quality arena and more is more in the quantity arena. So if you buy into (literally and figuratively) into fast fashion, you buy 3-4 (or more — the concept of “multiples”) $10 t-shirts with no expectation that any of them will survive a season (or even a wash) because you’ve got back up t-shirts. I take back and ask for refunds for any shoddy clothes — poor workmanship, stuff that stretches out with gentle washing, etc. 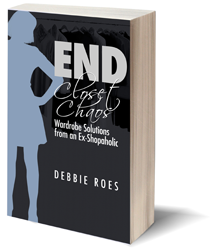 Clothing stores can’t re-sell worn or damaged clothing so they take a loss. Maybe this will help communicate our disatisfaction. Throwing your disappointing clothes away does not tell anyone anything. I have had decent luck with Eddie Bauer for tees for many years, Kim. Although their tees are not what they used to be, they are still better than what I’ve been able to find pretty much anywhere else. I recently bought a white tee from Eddie Bauer and it is much more opaque than a similar tee I purchased from Nordstrom early in 2013 which did not last long at all! I still wish the EB tee was thicker, but it’s decent. I can’t speak to the longevity issue yet, though, as it’s still relatively new. Deby commented recently that she has had good luck with buying tees from Land’s End, so I’m going to go there (that brand is sold in Sear’s stores as well as online) the next time I need a tee. Hope these suggestions are helpful! Thank you so much Dottie for this great post ( and Debbie for having Dottie ). It is a wealth of great information. Thanks, Abgurl, and thanks to Debbie for asking me to write this little guide. Good luck with your search for quality clothing. Dottie, you are so right, especially about thin fabrics. Who on earth would want to wear a T-shirt (or any other garment for that matter) that is transparent?! I mentioned in my post about shopping in the men’s department for such staples as cashmere sweaters. Yesterday I bought a lovely classic black v-neck men’s cashmere sweater for 75% off retail. The “comparable” sweater in the women’s section had “thinner” cashmere (I could practically see through it) and wasn’t reduced as much as the men’s sweater (the better buy). If you can wear men’s sizes, trying shopping in their area for some good stuff. I think I need to try this tip for sweaters. I have VERY few sweaters for two reasons – the poor quality available and the fact that they just don’t fit me. I also have broad shoulders and a narrow torso and waist, but I haven’t thought to alter my sweaters. In fact, I didn’t think most sweaters COULD be altered and I like to wear more fitted tops. The next time I shop, I will check out the men’s department and see what I can find. I can always take a sweater to my tailor to see if she can alter it to fit me (no more MAJOR alterations, though!). If not, I can return it, but it’s worth a try! I forgot to answer KimM’s question about where to buy long-lasting basic white t-shirts. Remember when Sharon Stone wore one to the Academy Awards? I think hers was from the GAP. Unfortunately, all my white t-shirts are several years old, and I worry that I won’t be able to replace them with anything of equal quality. This past summer I bought and returned 3 black v-neck t-shirts before I found a men’s shirt that worked although it was cut a bit fuller than I wanted. Perhaps white t-shirts from the men’s dept. might work. I’d love to hear other suggestions, too. I haven’t had good luck with Gap tees in recent years, but I DID find a long-sleeved crew-neck tee there last Fall that is relatively thick. It’s their “favorite fit” and it is a more fitted silhouette, which I like. The tee I bought is black, though, so it’s not see-through. The next time I’m in the Gap, I will look at their white tees to see if they are thick and opaque enough. As I mentioned in a comment above, I’ve had good luck with Eddie Bauer tees. However, the quality has gone down recently. Deby mentioned that Land’s End tees work well for her, so I’m going to check those out next. Thank you, Dottie and Debbie, for such a good article. I started sewing again a couple of years ago because of the decline in quality clothing available in the stores. I agree with every point you made, especially about better cashmere being available in the men’s department. I also love lined pants; I even line my linen ones for summer. I generally will sew the lining fabric to the matching outer fabric pieces before sewing the garment together. I love that the lining never twists up in the washer and any crease I iron stays sharp and crisp. There is a lot of value in vintage clothing, too. It can be very hard to find to fit, but there are a lot of vintage sewing and knitting patterns available out there that increase options. I think vintage cuts of clothing can fit the female form better, such as higher waists and wide pant legs. I find that the modern cuts (lower rise pants, skinny legs, narrow shoulders) just do not fit me well. Thanks, Grasshopper. I am almost inspired to start sewing again, but so far I have all the clothes I need or want. Making your own clothes means having control over the design, construction, fabric, and trim of a garment, which is very satisfying and very creative. I agree with you about the value packed into vintage clothing. As I was writing this little guide, I realized that a lot of my clothing would qualify as vintage. My favorite skirt (bought new in 1985) is almost 30 years old, and I have lots of stuff10-20 years old. These garments still look great because they are what I call classically feminine — classics that have a lot of feminine (or dress-maker) details — and they were well-constructed garments from the get-go. I’ve also noticed that a few fabric stores specializing in higher-end dress-maker fabrics have come on the scene — very good news for people who make their own clothes. I shop mens for jumpers and shirts. I don’t have particulary large feet (a UK 6) but I also have a fabulous pair of brown brogues which I paid almost nothing for because they were a tiny men’s size and fitted me perfectly! Gillie: This is a GREAT tip for people looking for classic shoe styles like oxfords, brogues, boat shoes, loafers, and the like. A shoe salesman in an athletic shoe store told me I could wear a man’s shoe one whole size smaller than my usual size (and I have narrow feet). As a result, I have 2 pairs of men’s sneakers — they too were on deep discount because they were a “small” size for a man. THANKS for sharing this tip. Also check out the men’s department for scarves, hats, belts, and the like. Petite women, try he boy’s department for classic polo shirts, button-down shirts, etc. Decades ago, I used to wear boys size 16 polo shirts — and they were made better than the ones in the misses dept. of the same store. Cheaper, too. This is a fantastic post — thanks, Dottie, for appearing as a guest/expert. I love your insights and am proud to say I use most of them. The scrunch test has saved me from many a poor purchase, for sure! One thing you didn’t mention that is my current pet peeve — facings that are not sewn down. Sure, I can tack the facings down myself — but I prefer facings that are professionally sewn as part of the garment finishing. Blouses, in particular, really bug me when the facings wrinkle and don’t lie smoothly. Re men’s clothing. I am “lucky” to have giant feet and have purchased men’s shoes for years. The quality is amazing — thick leathers, solid soles, heavy duty stitching — if only they made heels for men, LOL. Finally, I buy all my cashmere scarves and gloves in the men’s department. The thickness is twice that of women’s items. And often, far cheaper. Oh, the irksome things about “finishing” details on women’s clothing — flapping facings, loose buttons (haven’t manufacturers heard of the knot? ), unraveling buttonholes, and chintzy hems. I agree about the problem with facings. If they don’t lie smooth when you buy the garment, they may never lie smooth. One of the reasons I try to avoid fusible facings is that these often have a strange wrinkle that never flattens out. I am glad that so many readers of this blog have learned about the hidden bargains lying in the men’s dept. I have or have bought bought: knit gloves, scarves, hats, t-shirts, dress shirts, sweaters, and shoes. I wore my father’s old hunting jacket (I am guessing 60 years old) and hunting cap (even older) to shovel snow recently; I like the ear-flaps on the cap and it seems to be back in style. I doubt that my current winter jacket would be still wearable in 60 years — it’s already showing wear after 2 years (and it was rather expensive). I have big feet, too, Bette (size 9-9.5), but I never thought to look for shoes in the men’s department. Of course, that would only work for certain types of shoes, but it’s worth a try. I love the tip about cashmere scarves and gloves, as well as Dottie’s tip about hats and other items. This is opening up a whole new world for many of us, I’m sure. On to the men’s department! The great thing about your size, Debbie, is that it equates to a man’s 8 — the size most stores use for display. At places like DSW or Off-Broadway, you can simply walk the aisles and try every shoe, easily. Plus, the 8’s are often found in the sale racks, as few men have feet that size. I didn’t realize this, Bette, but it’s very nice to know! Thanks so much for sharing! Nice job Dottie! Those thin shirts are the worst. I agree with all this. In 2007, I bought 2 very expensive pairs of Ralph Lauren linen pants-lined too. However the linings were cheap and tore in weeks. After wearing the pants as they were for a while, then storing them, in 2011 I finally had my tailor/stylist replace the linings, take off the turn ups and generally fix up the pants. She told me she was horrified to discover the bad construction INSIDE the waistbands! Inaccurately cut fabric, uneven stitching, crappy seams. Naturally she redid the waistbands. Obviously, the bad construction was invisible from outside, but there you are-a very expensive brand. That said, after the reline, I live in the pants. They are still going strong and I see no reason to replace them until they wear out. One pair is black, the other beige-an exception to my rule against buying multiples but versatile and go with all my summer tops and shoes. I have a pair of linen pants (famous maker) that is part of a lovely suit. I bought lined linen pants in hope that the lining would provide a better drape for the pants, but the lining ripped horribly on first wearing. So now I really give lined pants the work-over — deep squats, high kicks, etc. Thank goodness for the door on the fitting room to hide all these hi-jinks away. And it is often impossible to see that bad workmanship in some garments, tant pis. Sorry to hear about the issue with your Ralph Lauren pants, Maharani, but I’m glad your tailor/stylist was able to replace the lining for you. I almost never buy lined pants because the linings seem so shoddy, but I hadn’t thought about having lining put in. I’m curious about how expensive that was. If you remember and are open to sharing a price range, that would be helpful for those of us who might want to consider having this done. Sounds like your pants are working very well for you now! I THINK I may have paid about $100/pair, but the linings are the best quality Bemberg (I think thats the name) rayon and they feel amazing next to the skin and are breathable. My tailor had to take the pants apart to put the linings in. They feel, drape and wear much better now. I just remembered the cost included taking off the turn-ups, re-hemming and some tweaking for a better fit, so linings alone would have come out to a bit less than $100/pair. Maharani mentioned using top quality lining — this is key! I had a coat relined by a sewing friend, and even with her fee and the cost of the lining material, it was cheaper than replacing the expensive, all-wool coat that had years of wear left.. I had a lot of trouble finding quality coat lining fabric, and when I did it was a bit expensive (don’t remember the cost). But overall, I couldn’t have found a quality wool coat for the total cost of relining. As I said, I wore this coat for an additional 8 years, so the “investment” in relining really paid off. Bemberg rayon is my tailor’s #2 lining-if the pants had been brand new, or if she had made them from scratch, she would have used silk. These are the clothing standards that obtained when I was young and it is sad to see how they have degraded. Thanks for sharing what you paid, Maharani, and thanks to both you and Dottie for providing more details on quality lining. I seriously doubt that most linings today are of even decent quality, but there’s where a tailor can really help. My sister-in-law had a much-loved leather jacket with a torn lining. She took it to my tailor and had it re-lined. Years later, she’s still wearing and loving that jacket! Unlike me, she’s a wardrobe minimalist and always looks to repair things whenever possible instead of replacing them. It may have taken me a long time to learn, but now I’m convinced that’s often the best approach to take! I never buy lined pants (any more) b/c the quality of the lining is so poor. I can’t stand the feel of cheap poly/rayon next to my skin. Even if the pants themselves are the highest quality wool, if the lining feels like a sandwich baggie, the pants fabric becomes meaningless. In fact, I almost always cut the linings OUT of my pants and skirts b/c of this. Ugh! I hate that cheap lining material. In my case, the lining had been sewn in incorrectly and didn’t allow for sitting down. It ripped in the car on my way to work and continued to rip all day!! By the time I got home there was no hope of repair so I cut the lining out. I am sure I paid extra for “lined pants” so I felt a bit cheated. Unfortunately, I didn’t take the suit back to the store (a lesson I’ve since learned). I took the pants to a seamstress for relining but the cost was pretty high. So, in the end, I had unlined “lined” pants. This is tremendously helpful. I’ve learned the hard way to do the scrunch test — I have an office skirt from Theory that fits like a dream but wrinkles the minute you look at it, even though the fabric composition indicates that it shouldn’t. SO frustrating. I’ve also taken to looking at a garment’s tags to check the fabric content even while it’s still on the rack. If it’s not up to my standards/ preferences, I move on. Of course these days that means most items stay on the rack! I’m going to do the scrunch test on everything from now on, as well as check fabric content before even trying things on. Why waste our time in the fitting room if something just isn’t going to work for us? Sorry to hear about your Theory skirt, AK. I really thought that was one of the good brands, but Dottie is right that we need to consider every garment separately regardless of brand. Occasionally, a garment can wrinkle because of the construction, not the fabric. The scrunch test really helps in weeding out the too wrinkly from the stuff with wrinkles you can live with. I prefer linen jackets because I don’t like the wrinkles one gets in linen pants. I have a black linen skirt that stands up to wrinkles pretty well, but I wouldn’t buy another linen skirt. I hate ironing. When I am buying something, I start with purpose (work, casual), color, fabric (wool, silk, etc. ), construction, fabric content and care instructions, and then fit. I don’t try on anything that doesn’t pass the first few tests. Life is too short to spend it in a dressing room with junky clothes. Your approach when you shop is a good one, Dottie. I shudder to think of how much time spent in fitting rooms I could have saved if I had taken more time to consider the garments before trying them on! I’d often cart armfuls of clothing into the fitting room, but if I used your approach, I’d save both time and shoulder and back pain… I’m glad it’s not too late to learn! Big thanks to Dottie for doing this wonderfully informative guest post! I really learned a lot from Dottie’s insights, as well as from the comments that have come in so far. Perhaps if I would have known some of these tips earlier, I wouldn’t have ended up with so many clothes! I do plan to focus FAR more on quality moving forward, especially as I strive to buy less and better use what I have. Like others have commented, I’ve also bought clothing and shoes from higher-end designers and was surprised at the lack of quality and longevity. I thought I would be getting what I paid for, but that was not the case. I now know I have to be a lot more careful and use many other benchmarks besides price to ensure I’m getting a quality item. I seriously lament the decline in quality as of late, especially from some of the brands I had come to trust. I hope things turn around soon, but I’m not counting on it. However, if more people start to demand quality and return shoddy items, perhaps brands and retailers will take notice and make positive changes. I sure hope that will happen! Thanks, Debbie and all you who took the time to post something. I cannot stress enough that if you are a victim of shoddy workmanship, take the offending garment(s) back to the store and ask (very nicely) to speak with the department or store manager about the quality issue. DON’T just throw your clothes out, however tempting this may be. Your goal should be to: 1) get a refund and 2) let the store know your concerns with the quality of clothing on offer. You may want to contact the clothing company as well. Clothes should NOT fall apart with one wearing or even two or three. If we don’t speak up no one else will. It’s very disappointing when a favorite brand suddenly starts to sell inferior goods — so I write letters. And stop shopping — a strategy that I will be able to maintain only until I really, really need to buy something or replace a beloved blouse, etc. I am thinking about getting out my trusty Singer again…. I just don’t shop much any more……. Trying to find good clothing can be pretty depressing when you can’t find something like a basic t-shirt that won’t stretch out with one wash or a blouse with buttons that don’t fly off the first time you wear it. Yep, I lost 3 strategically placed buttons within 10 minutes of donning a famous brand shirt from a famous outlet store — and in rather embarrassing situation. I have crossed that store and that brand off my list forever. A couple of years ago, I bought a nice tie neck blouse at Nordstrom, in Individualist I think and not cheap. After 2 wears, one cuff completely came away from the sleeve it was attached to! I did a quick fix and then my tailor reattached the cuff-obviously there was insufficient seam allowance or just a bad seam as there’s plenty of length in the sleeves. It was absolutely necessary to get it fixed as the fabric was chiffon weight. The blouse has since become a workhorse,but the point is-even I as a dressmaking student in high school, did a better job than this. It is pathetic. Ah, the beauty of a tie neck blouse — hard to find, so I don’t wonder that you had this one fixed. The case of the shrinking seam allowance (or not finishing a line of stitching so it doesn’t come apart) are apparently some of the ways that clothing manufacturers skimp to save money and to keep our clothing affordable. And because we have been “trained” to buy on sale, on clearance, and in discount stores in order to get a deal, the profit margin for retailers and manufacturers is trimmed even further. But as lone as we are paying the asking price (on sale or not) we should demand quality. As you may know from my posts I hate shopping. I would rather do other things with my time so: I never return anything, attend sales, shop discount stores or buy on clearance-it is all much too labor intensive. The worst are thrift stores-very low ROI as far as my time is concerned. So-as I always pay full price, I expect a decent level of quality, so this general reduction in standards is very frustrating. While I do shop with a shopper and get a few coupon “deals”, she does the heavy lifting-I still hate it. My solution is to buy very little, keep it, mend it, and take care of it, plus gets things custom made. I am probably not very trendy, but I like my clothes more and am happier with them. Even I feel the continual mental drag of knowing there are new fashions at the mall and feel I should be there staying up to date, as I read fashion blogs, but this is balanced by my disgust at the pressure placed on us women-who have less $$ than men-to spend it on ephemera such as clothes when we could be saving, investing, making life better. I dont read fashion mags-they are idiotic and their general silliness takes my breath away. I too have all but stopped shopping except to replace clothes that have finally worn out or are beyond repair. I grew up in a household that focused on maintaining the clothing you had, and I had a very small but very serviceable wardrobe as a child. But today’s standards, it could have been described as Spartan. But I have always been very keen about having the right clothing for my personal style and for my body type. Fortunately, I have some great stuff that will last out the latest fads and will still be in good taste. It is sad that men’s clothing seems to be a better value but then men don’t ready follow fashion trends to the same extent.And they demand quality! >>…this is balanced by my disgust at the pressure placed on women-who have less $$ than men-to spend it on ephemera such as clothes when we could be saving, investing, making life better. I don’t read fashion mags-they are idiotic and their general silliness takes my breath away. I could not agree more. You make such an excellent point about women, money, and ephemera. Very wise! Yes, we are supposed to worship Anna Wintour and her perfect bob. A HAIRDO for God’s sake. I love nice well made stylish clothes and looking my best but this is ridiculous. Dozens of silly girls just out of school are now “Fashion Icons”-I hate that phrase-the fact is without a dozen stylists hanging around they would be nowhere. But women fall for this rubbish. And we shop shop shop. Thanks for your thoughts, Maharani. I so agree with you. I peeked at a fashion mag in a doctor’s office and was aghast at the high prices ($1,400 for a pair of lizard-printed skinny pants) and the faddish-ness of the clothes being promoted. I feel sorry for young women who’ve been hooked by “fast fashion” and “designer-itis” and who are trying to chart a course of personal style and cost-effective expenditure when planning a wardrobe. I found myself thinking, “You go, girl!” when reading this comment, Maharani! I got a chuckle out of your Anna Wintour comment 🙂 You are SO right about how ridiculous things have gotten in the fashion industry. I rarely see any looks I like in the fashion magazines these days and even the catalogs are showcasing looks that I never see anyone wearing in real life. Granted I don’t live in a very fashion-forward area of the country/world, but many of the current trends don’t look very good in my opinion. I thought that maybe it’s because I’m getting old, but I think it’s more than that. I hope that more people come to their senses soon and eschew “fast fashion” and “designer-itis” (great term!). Our environment (not to mention our sanity) can’t handle too much more of this over-consumption, that’s for sure. I know that I was a big part of the problem not too long ago, but now I want to be part of the solution. Getting the word out like we’re doing here is a step in the right direction! I too wondered if “age” had something to do with the fact that I eschew the fashion press, etc. And I finally decided that, no, it’s not age but maturity. With maturity comes acceptance of one’s self. I don’t strive to impress the invisible minions of the fashion industry (even though, ironically, I work in the retail end of it). I have been comfortable with my personal style and clothing choices for decades so no amount of hectoring from the fashion press will convince me to buy lizard print skinny pants (ugly at any price point) or carry a heavy, over-sized and over-priced big purse (sorry, I want to avoid shoulder injury and bad posture). Wisdom too comes from learning (at any age) from past mistakes. There is so much more information out there bombarding us all the time — it takes some effort to tune it out. So I limit the e-mails from retailers, I avoid text alerts on sales, and go blank during TV ads for “stuff.” I also avoid websites that could stir up latent yearnings for shopping. Why be tempted when one’s goals are to stick to a budget and maintain a wardrobe plan? I so agree with you-maturity and knowing yourself mean that you don’t need to look to mags for a sense of identity. I do all the things you do and find I shop less and less. Malls make me tired-they are set up to make clothes shopping as inefficient as possible. If I had my way Id order and have made everything for that year in 1 shot. My life is simply too busy (job mostly) to put a wardrobe together in this piecemeal fashion. Agh! I am so frustrated by shopping lately! Most people have no idea about fabric, fit or quality, and most stores are cutting corners at every chance. Everything is acrylic or polyester, hardly anything is made to last. I had the hardest time finding basic white tees that weren’t see through – one I tried on had doubled fabric in the front for modesty, but the back was so thin you could have read my bra label through it. Fine if you’re always wearing it under a blazer I suppose… (this was the only justification I could come up with). Nordstrom did end up having some decent tees in their house brands. And at least buying from there, I know I can return the item at any time, as I did when some of my tees developed little holes in them (as if from moths, but not). These little holes pop up in all kinds of knit tops now, always after a few months of wearing, but few places will accept a return after you’ve worn the garment, and it’s usually not worth trying to fight them on it. The average American tshirt is only worn 25 times before it’s thrown out, I heard. I don’t know if that’s because it’s crappy quality or if it’s crap quality because people throw them out so quickly… a vicious cycle. Sadly, even good stores like Nordstrom are stocking a lot of poor quality garments. I shop Nordies’ lower end departments, so I don’t expect couture quality. But if a skirt costs $50 it shouldn’t be see through! To me, that’s just a deal breaker. I have better luck at thrift stores, and I don’t mind altering or modifying or making do with something I got for $5. Welcome, Joanna, and thanks for your comment. I was nodding in agreement with everything you wrote! I have had much the same experiences with shopping lately. Trying to find a good white top that isn’t see-through is quite maddening! I shop at Nordstrom much of the time, too, in the same departments where you shop. I’ve been dismayed at the down-turn in quality, too, but I’m not having much luck in thrift stores, either. Perhaps I need to try different ones, but the ones I’ve visited tend to have lots of “fast fashion” rejects from the past few years. Like you, I am willing to alter inexpensive thrift store garments. I don’t care how much something costs, just that it works for me!